One Live and Unsigned act will have the opportunity to play at Peace & Love in Sweden, which takes place from 26th - 30th June 2012. Peace & Love have just announced their headliners and there's definitely a new contender for best overseas festival line up of 2012 already! This year the global sensation Rihanna will be headlining, alongside: Skrillex, Bloc Party, Enter Shikari, Regina Spektor, Wolfmother, Dropkick Murphys plus more, and one Live and Unsigned 2012 Area Finalist will fly off to the festival to perform at what will be a defining experience for the band or act that wins this incredible prize! The festival intends to contribute to a better world by conveying messages of sustainable development. The 2011 Peace & Love festival saw an excess of 50,000 visitors, 6000 volunteers and 800 accredited journalists attend the festival 2011. Every year there's a new theme that pervades all activities held both during the festival and throughout the year. For 2012, the festival's theme is A New World. One lucky act from the Area Finals will be selected to play at the illustrious festival this summer by the Live and Unsigned judging panels. This will be announced after all the Area Finals have taken place, Live and Unsigned will then pay for the band to fly out there and perform at the festival. So far the overall winner of Live and Unsigned 2012 is confirmed to play Relentless Energy Drink Boardmasters, Norfolk Spectacular, Bingley Music Live, Cloud 9, Strawberry Fields Festival, Glass Butter Beach, Brownstock, ButserFest, Edinburgh Fringe Festival, Cockermouth Rock Festival, Just So Festival, Stockton Weekender, London Summer Jam and Lancaster Music Festival. Yes you counted right, that makes 14 UK Festivals SO FAR! Add that to the £10,000 cash prize and this is going to be the most unforgettable summer of the 2012 champion's life! Swedish festival Peace & Love Festival 2012 is one of many festivals giving away slots to Live and Unsigned acts this year. 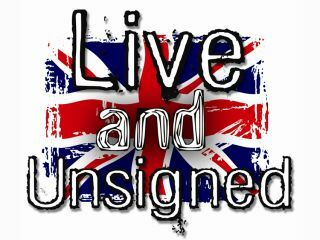 Click here to check out all the festival partners for Live and Unsigned 2012.